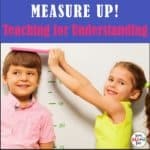 Getting kids to truly enjoy and look forward to practicing skills can be quite the teacher-task! Bring on the game boards! Over 40 FREE Game Boards are Available in the Free Resource Library. Just Click Here to Join! 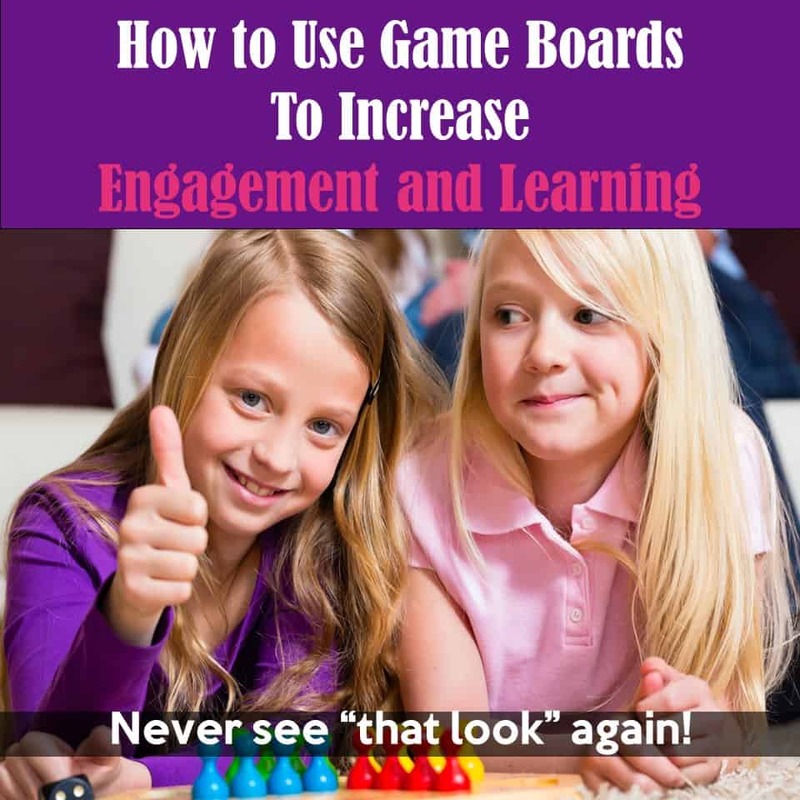 I started using game boards as a way to get my kids to practice skills in a fun way, without the boredom, and without “those looks”. 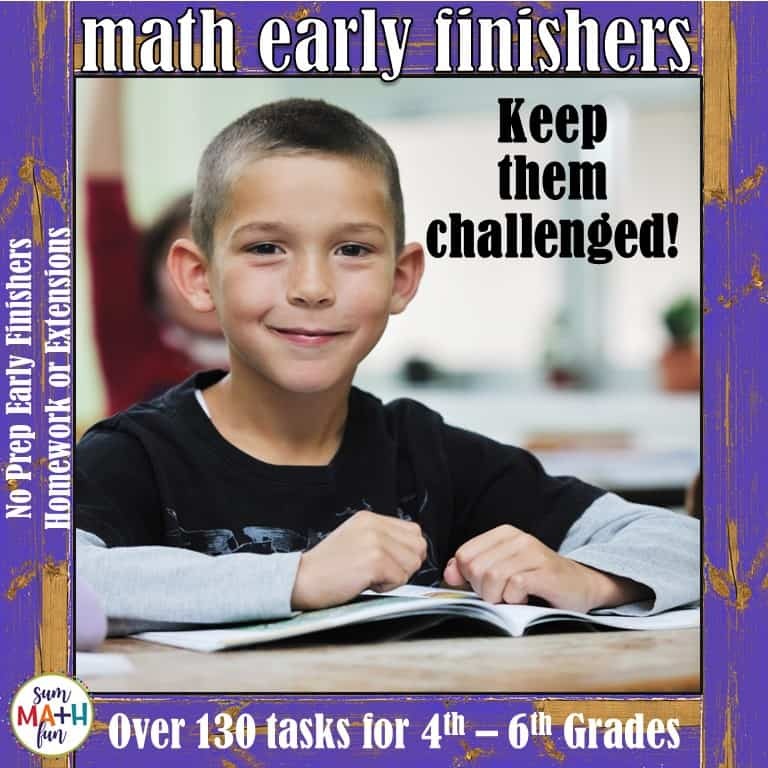 When given a task of practicing math skills and problems, kids moaned and groaned. When given a game board to practice the same skills, there were cheers! They had so much fun “playing” with a partner, challenging and checking each other, they didn’t even realize they were learning . . . actually doing the same thing that they had dreaded before! Using game boards in my classroom was a game changer. They have always been a huge hit. I can even work on social skills at the same time we’re practicing and learning. Perfect! 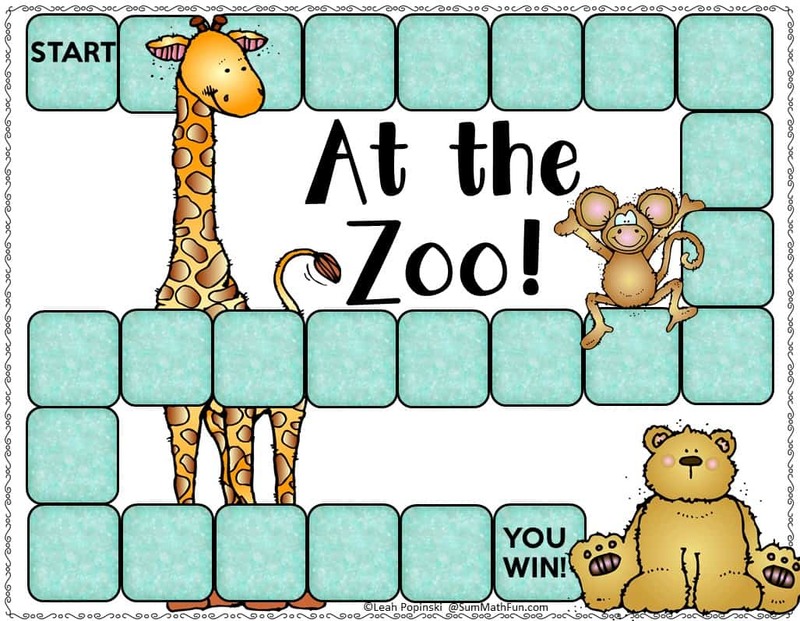 Copy each game board on white cardstock and laminate for durability. 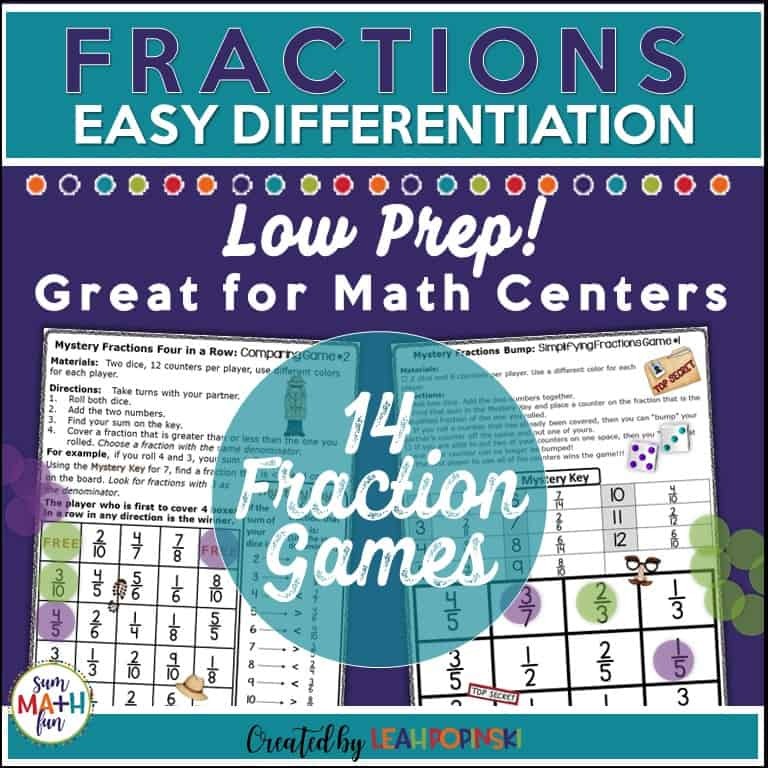 Use game boards during centers/workstations, math workshop, small groups, and during whole group instruction. Let each pair/group of students choose their gameboard. This gives them a feeling of choice. 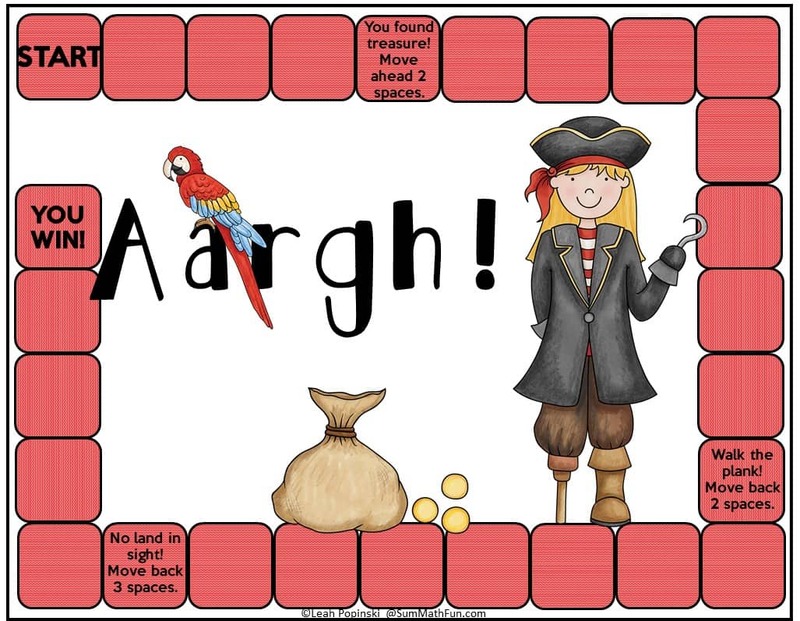 Make sure you have enough copies of game boards easily available so students do not interrupt you during this time. Each player works on the same question at the same time. They check each others’ work and agree on an answer, discussing any incorrect answers and why they are incorrect. 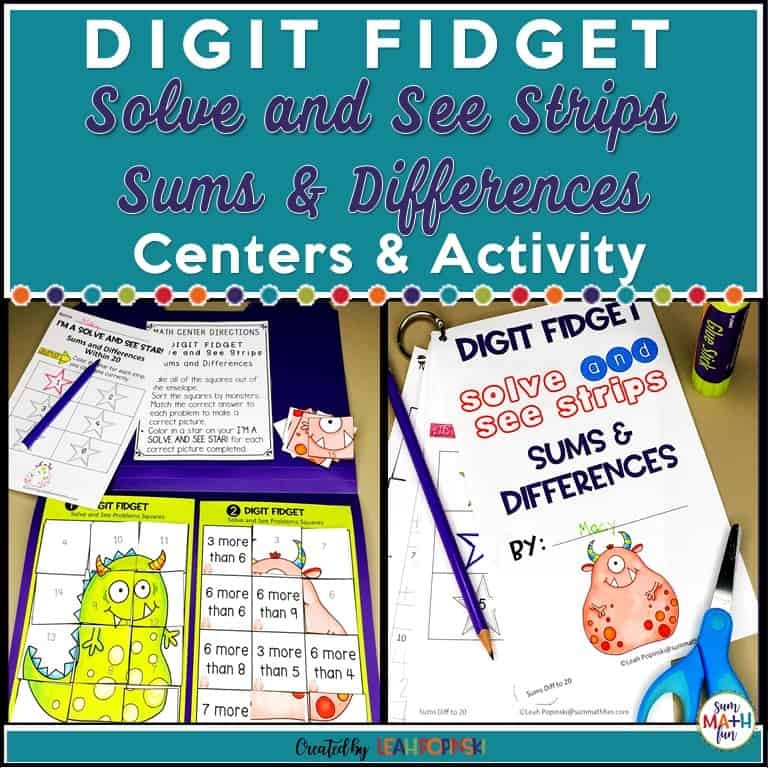 This utilizes cooperative learning and encourages students to use math language all at the same time! Students love teaching each other and learning from their peers is a motivation all on its own! Then each player with the correct answer rolls the dice or spins the spinner and moves that number of spaces. This puts a whole new “spin” on doing worksheets. The kids check their own work (Hooray for fewer papers for you to check! ), get immediate feedback, and suddenly doing a worksheet is interactive and FUN! Turn the task cards upside down in a stack and place them in an empty space on the game board or in a space between players. Each player rolls a die or spins a spinner. The player with the lowest number goes first. The first player draws the top card from the stack. All players answer the card on individual whiteboards or in their math journals. Teacher Tip: It is helpful to have task cards numbered. If there are questions during play, students can go back to specific questions. Or if there is an answer key for the task cards, after getting their own answer, students can check their answers using the answer key. This is a double-double check and reinforces the correct answer. 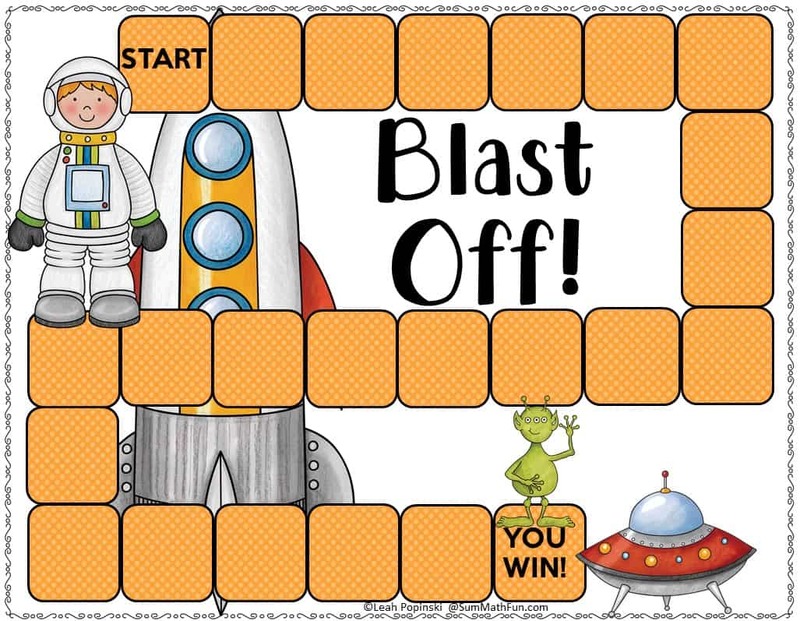 Game Boards are Available in the Sum Math Fun Free Resource Library. Just Click Here to Join! 1 or 2 dice depending on needs. If you want students to practice addition skills, have them roll two dice and find the total. Also, to play a shorter game, have students roll two dice and move farther on each turn. Instead of always using dice, also have spinners available. This keeps your games versatile. The game pieces students use can be counters, seasonal erasers, or simply a penny and a dime. You can also use old game pieces from old game boards, or find inexpensive bags of them at a local dollar store. Letting students choose their game pieces adds to the fun. Keep the directions for using the game boards simple and the same no matter how you’re using them. Then students can use the game boards independently for any concept or skill without having to learn new instruction each time. Part of your directions should be that all players solve all problems. This prevents some students from just sitting until it’s their turn. Students can solve the problems on whiteboards, in their math journal, or just on notebook paper. Students learn how to assess and evaluate their work and their classmates’ work in a positive format. You will hear them repeating many of your own words so-o-o, make sure to occasionally listen in. You may be surprised what you’ve taught them. FUN! Your task cards and worksheets become a cooperative learning tool. 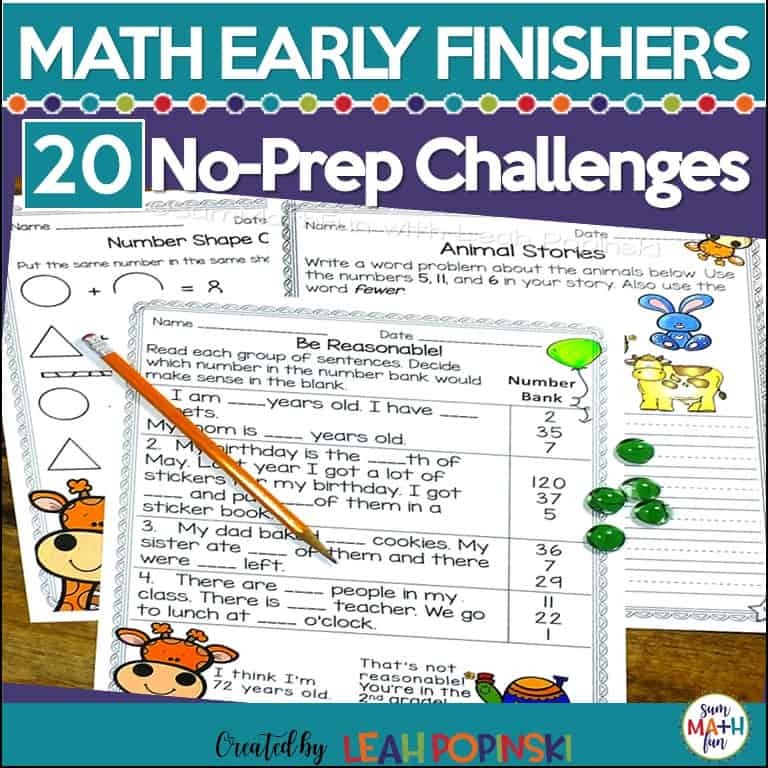 Students will be excited to answer the questions and play with a math buddy. 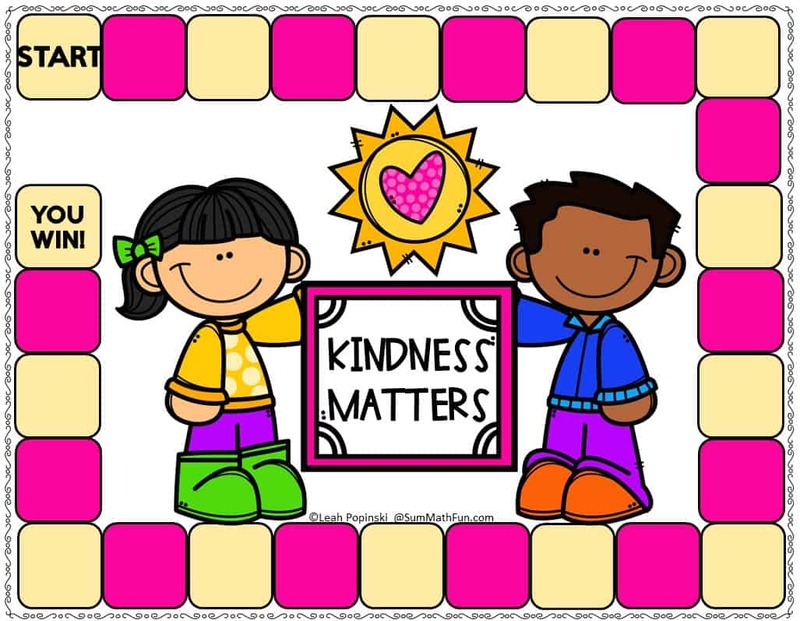 Watch as a positive feeling of a math community is promoted and math attitudes are improved! 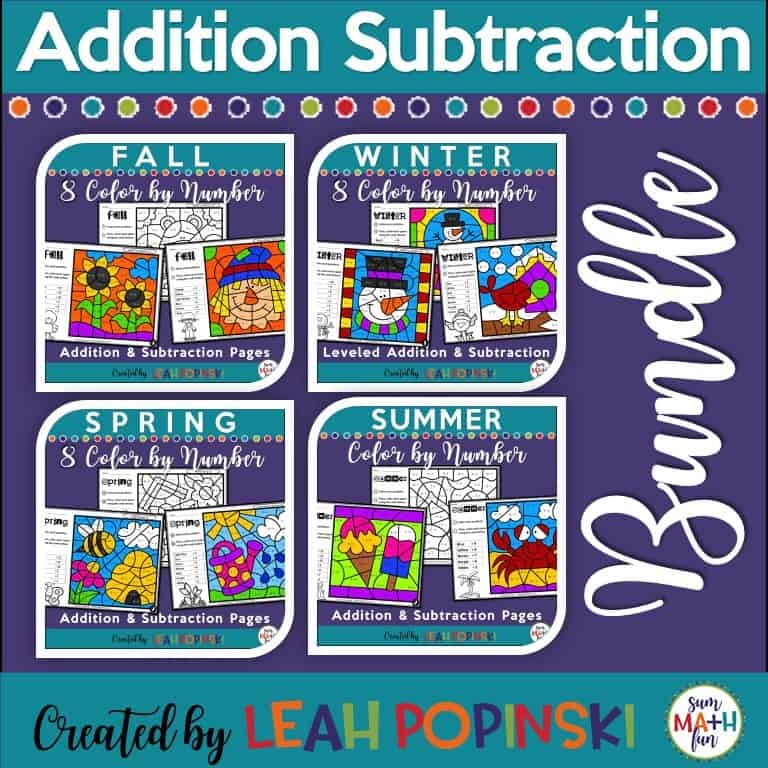 Join Sum Math Friends to receive free printables and teaching ideas delivered to your inbox each week! You’ll also have access to over 70 resources in our free growing resource library. 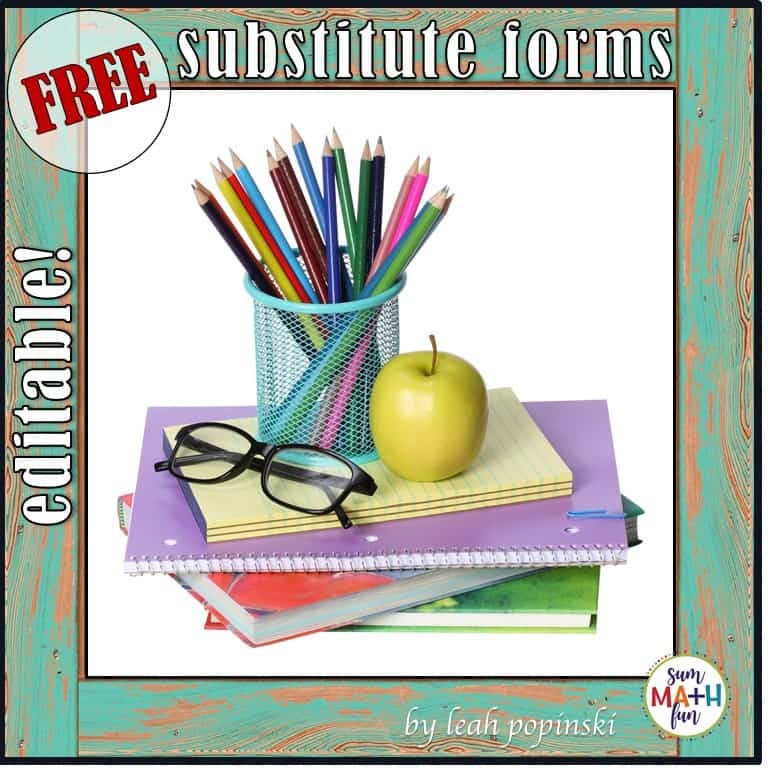 What is the password to view the Free Resource Library materials?